So, you have decided to buy at Lake Gaston. Let me start by saying, you have made an awesome decision! 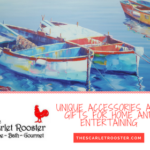 Before you choose a realtor, here are a few things you need to know about Lake Gaston and some tips for choosing the right person for you. 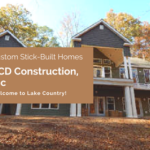 Lake Gaston is a unique home market that stretches through five counties and two states. There is a lot to learn about this 24-mile long lake that has over 350 miles of shoreline. Do you want to be closer to I-95 or I-85? Do you want to be in a subdivision or in a more secluded location? Do you want to be on the main lake or in a creek? Are you looking for a full-time home or a weekend retreat? Do you have a boat or plan on purchasing a boat? High water marks and Dominion Power’s property line are very important. Your realtor should be able to help you with things like dock dimensions, permit transfers, septic rules, county setbacks from the high water marks, vegetation/shoreline management, pier Inspections, water depth, and more. Are you a full-time realtor? Here are my answers to the questions we mentioned above. I graduated from Wingate University with a BS in Business Administration. I am a native of Chapel Hill and I lived in the Raleigh area before I moved to Lake Gaston in 2005. Lake Gaston is like a second home to me and I have very strong family ties in Warren County. Yes, and I love being out on the water! Boating is the best way to see Lake Gaston and all it has to offer. Yes, I am a full-time realtor for Lake Gaston and the surrounding area. I have been an NC & VA Broker in Charge for over 10 years. I am a member of the NC Association of REALTORS® & National Association of REALTORS®. I am also on the Triangle & Roanoke Valley-Lake Gaston MLS Board. 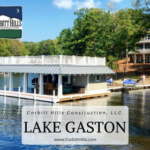 You can learn more about me here and give me a call at 252-425-4380 with any other questions you have or if you are ready to find your Lake Gaston home.